My friends find the BEST photos... Probably they subscribe to somewhere for them - me, I just appropriate them and share them here! This one from a librarian friend - not sure if it's the library she's just moved to with her job or somewhere else. I'm trying - with the students I tutor - to impress upon them the necessity to brace themselves and darken the doors of the library when they're doing research for school papers. 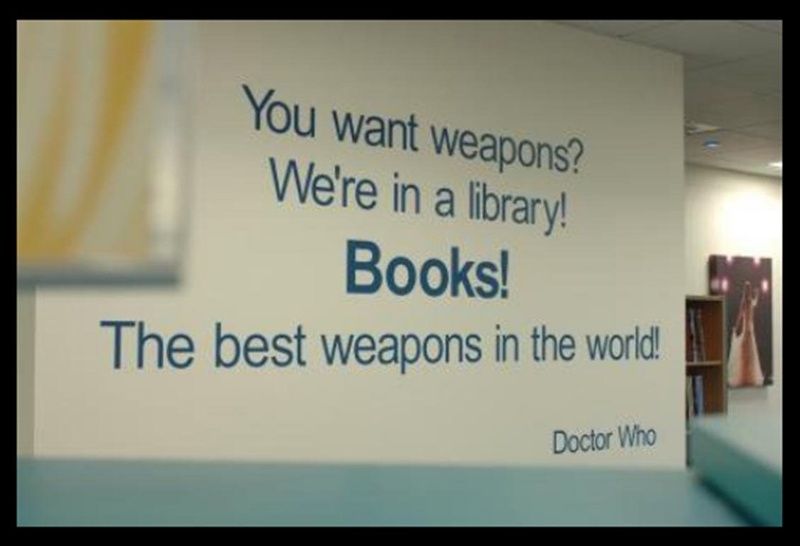 They're at schools with good libraries. They all live within easy reach of good public libraries - one of them is pretty close to the state library. Unfortunately, they are the generation who want everything NOW, and at the click of a mouse. Remembering my time lecturing degree students and the first crop of art history essays I had to mark at one institution - at second year level - with too many that had bibliographies comprised totally of websites, when there was an excellent library across the hall from where I held my classes and a university library in the building next door. There was just no excuse, it was sheer laziness on their part. The papers were, predictably, regurgitated, reorganised blocks of text copied directly from the websites. I failed them. I delivered my next lecture on the topic on resources - which was a long way from the topic of Colonial Australian Art History. However, I figured if they wanted a shot at passing the semester, they might find it useful. On that note, it is time for me to go get ready for work, where I have a magazine to put together and, hopefully, the late copy that should be arriving today. Fingers crossed.